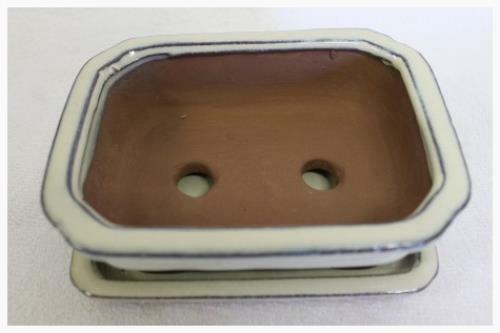 This bonsai pot has a rectangular shape with a standard lip. It has a cream glazed finish and two drainage holes. The pot is suitable for bonsai with a maximum height of 20-25cm. 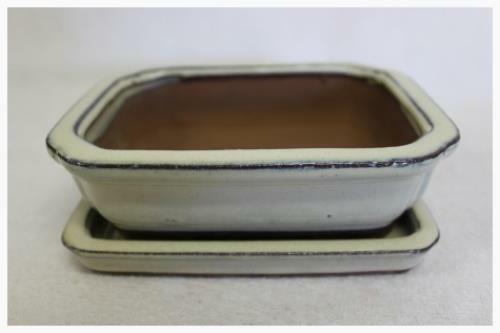 The remaining pots have slight defects (scratches and/or small clips) and slightly unmatching colour glaze between the pot and saucer, and for these reasons they have been heavily discounted.